Review – Absent in the Spring by Carrie Elks – 5 Passionate, Heart-Warming Stars!!! Lachlan is Lucy’s new client, being the professional she is, she strives to keep things on a professional level. However, when temptation becomes too hard to resist, Lucy questions if some things are worth the risk? Will she follow her heart or her career? 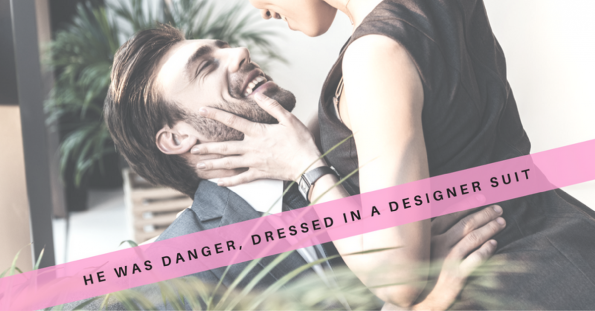 Carrie Elks has written an epic contemporary romance, that has you sat on the edge of your seat as you watch the relationship between Lucy and Lachlan unfold. I absolutely loved this story; it has an edge of sadness to it, that I feel we haven’t seen in the first two Shakespeare sister’s books, which gave it a slightly more relatable feel. I saw a different side to Lucy, in this book. She is a very strong woman, with a lot on her shoulders. She truly did take on the care of her three younger sisters when her Mum died, and was carrying an even bigger burden, than we could ever imagine. The love for her family ran so deep, she put her life on hold, to make sure that they were all cared for and happy. Lachlan was a complex character, it was clear he had spent much of his life hidden behind a mask, portraying a himself to be a confident man, happy with his life. However, deep down his true self was begging to be let loose. He was a caring, loving, loyal and hardworking man, who had chosen work to escape the desires his heart truly wanted. However, when he did want something he wasn’t afraid to fight for it. An excellent story, that can be read as a standalone. However, to fully enjoy and embrace this story, I recommend reading the series, starting with Summer’s Lease.